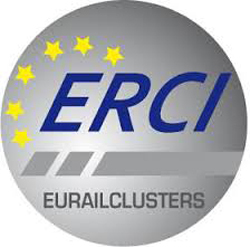 In June 2016, the European network ERCI (European Railway Cluster Initiative) launched a call for applications for the well-established ERCI Innovation Awards. This initiative aims at promoting innovations to meet the needs of the rail sector in Europe (freight and passengers). The call was open to developed, projects at the pre-commercialisation stage of Technology Readiness Level 6 (TRL>6). The jury evaluated primarily the innovative element but also scrutinized the economic benefits and competitive advantage it can bring to clients and the conformity of the project to the EU White Paper objectives of Transport. Ubidata came out top in the SME category and Paul Havelange, CEO of Ubidata was delighted to receive the award at the InnoTrans Exhibition in the presence of Mr. Keir Fitch ( Head of Unit "Research and Innovative Transport Systems", European Commission), the Representative of the German federal Minister of Transport and Member of the jury ERCI network. The proposed Ubidata solution is the combination of a specifically developed telematic device for railway wagons and a big data management system that transforms data into relevant information that can significantly improve the management of rail fleets. The telematic device, which is installed on a wagon in minutes, records GPS positions at each start and at each stop as well as regular positions during the journey, ensuring an end-to-end logistics overview. The product is enhanced by the use of specialist batteries with an effective lifetime of up to 7 years. The data is then sent in real time to Ubidata servers and converted into consistent and relevant information which alleviates the reliance on the railway carrier companies for the provision of information. This information not only allows customers to keep track of their wagons and containers but also to optimize the fleet by identifying individual wagons. This way long stays at client locations can be identified, wagon maintenance can be automatically allocated and schedules can be dynamically streamlined based on exceptions to the planning sequence. Ubidata customers can receive automatic notifications for train arrivals to help with timescales and project deadlines. Cumulative mileages are also easily collated and integrated with ECMs which in turn facilitates liaison with leasing companies. These key features ensured Ubidata’s success in this SME category of the European Railway Cluster Initiative Innovation Awards, 2016. For further information on the ERCI Innovation awards or our innovative telematic and track and trace services for rail, contact us.